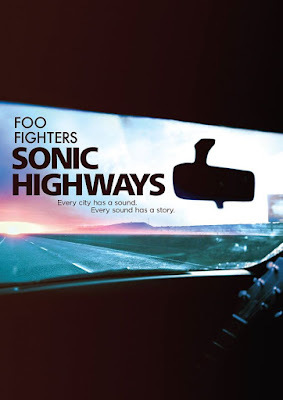 The Foo Fighters documentary series, “Sonic Highways”, won a pair of Emmy Awards in Los Angeles on Saturday. The 8-episode project – which featured a behind the scenes look at the making of the group’s 2014 album of the same name – was honored for Outstanding Sound Editing For Nonfiction Programming (Single Or Multi-Camera) and Outstanding Sound Mixing For Nonfiction Programming (Single Or Multi-Camera) as part of the Creative Arts Emmys event, which precedes the 67th Emmy Awards on September 20. “Sonic Highways” was also nominated for Outstanding Directing and Outstanding Informational Series. The documentary saw the Foo Fighters visit and record music at some of the world's most iconic recording studios in 8 US cities – Austin, Chicago, Los Angeles, Nashville, New Orleans, New York, Seattle and Washington, DC – with frontman Dave Grohl conducting interviews with some of the artists who have recorded at each facility as well as those who guested on the record. Produced by Butch Vig, the band’s 8th studio album was launched with the companion documentary series airing on HBO. “Sonic Highways” debuted at No. 2 on the US Billboard 200 album chart with opening week sales of 190,000 copies. Foo Fighters will launch the second leg of their current North America in Portland, Or on September 14.